Product categories of Cement Mixer Truck, we are specialized manufacturers from China, Cement Mixer Truck, Concrete Mixer suppliers/factory, wholesale high-quality products of Mini Truck Cement Mixer R & D and manufacturing, we have the perfect after-sales service and technical support. Look forward to your cooperation! Cement Mixer Truck (Concrete Mixer) a fast agitating vehicle. Inside, there are two thin cylinders in the middle, and there are some clockwise fans in it. During the time when the vehicle is transported to the construction site from the pump station, the effect of cement segregation is prevented by the continuous rotation of the fan blades. 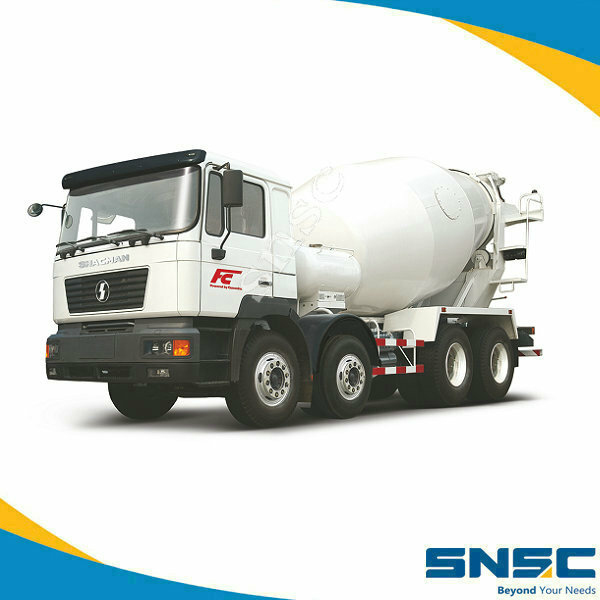 Shacman and SNSC provide best Cement Mixer Truck for you.